Hi, Welcome to the Aquamarine Jewelry Studio Website. We are Brooke and Patrick Glineur, the owners, designers and creators of the jewelry. We hand pick and strive to use the nicest fresh water pearls and semi-precious stones available to create our unique, beautiful, simple and best of all affordable jewelry. 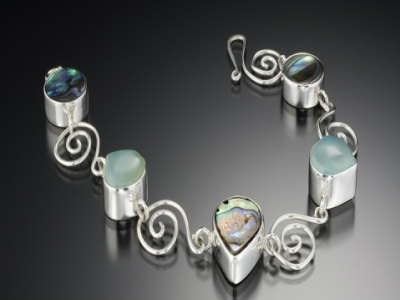 Be sure to check out our show schedule so you can see us and the jewelry in person. We are working on adding pieces to the store so be sure to keep checking to see whats new. You can also "like us" on Facebook to get current updates for shows and special offers. You can also contact us with any questions and also sign up for email updates.